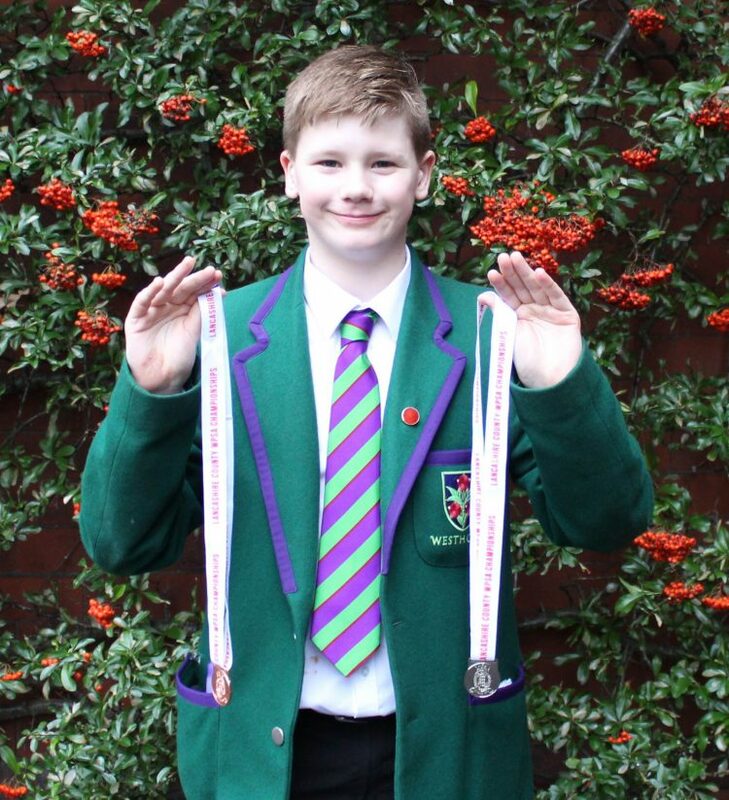 Year 7 student, Mark Tompsett, completed his final weekend of swimming at the Lancashire Counties Championships last week. In the two previous rounds, Mark won a Bronze and Silver medal. Mark is extremely dedicated to his sport. He is a member of the Bolton Metro Swimming Squad and has a rigorous training schedule each week, which includes 5am training sessions, evenings and weekends. Mark is looking forward to taking part in the Regional Championships soon and we wish him lots of luck!